Welcome to David Herzhaft harmonica player website. His instrument of choice is small enough to fit into your hip pocket. But through Pacific Lounge (2016, Pacific Waves), author, instructor, composer, arranger, producer and instrumentalist David Herzhaft expresses a big vision for the diatonic harmonica. “Yes, this small thing is a real musical instrument meant to play more than blues and folk music,” he says. Herzhaft taught himself harmonica while simultaneously studying guitar at a jazz school in Lyon, taught by former students from Berklee and the Guitar Institute of Technology. David eventually got enough notes “approximately right” to play alongside his father and uncle as a family band in music festivals throughout Europe and Canada, opening for such blues legends as Koko Taylor, Johnny Heartsman and Junior Wells. Herzhaft’s music took an irreversible turn in the early 1990s, when he met Howard Levy, co-founder of Bela Fleck and the Flecktones and the first musician to play the diatonic harmonica chromatically. “I first fell in love with the Pacific when I traveled to the West Coast in 1992 and ever since then I had a need to return,” he recalls. “I just had to go back.” Life shifted again in the early 2000s, when Herzhaft was invited to session work in Los Angeles. Musicians he met in this new musical orbit included Ricky Martin’s guitarist Yussi Wenger, with whom Herzhaft performed as a duo called Acoustic Connection in and around the city. Herzhaft eventually moved to California in 2012 and, renewed by his surroundings, began formulating his next project: Pacific Lounge. 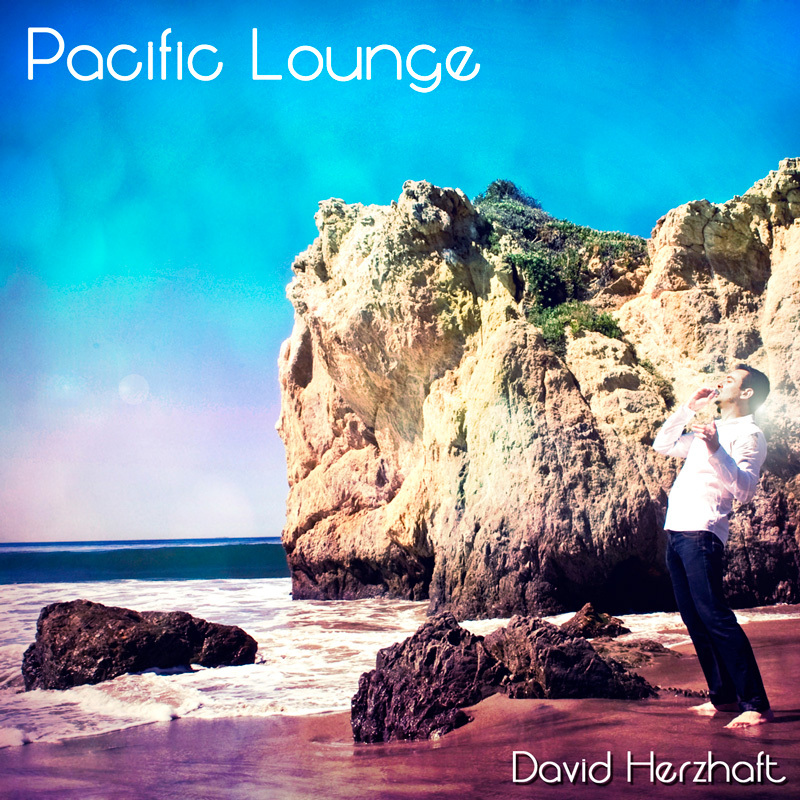 Pacific Lounge follows Jazzin’ Around (2007, H-Land), which teamed Herzhaft with Levy and guitarist Frank Gambale for a bright romp through atmospheric originals (“NYC Groove,” “Melancholia”) and jazz and jazz-friendly pop standards by Dizzy Gillespie, Miles Davis, John Coltrane, Ira Gershwin and Antonio Carlos Jobim. David released his first solo album in France, Des Mots d’Harmo, in 2000. Herzhaft has written numerous educational titles, including Celtic Harmonica Reels, Harmonica Blues, Harmonica Country, and two DVDs, about the harmonica. In 2010, he consolidated his decades of experience in individual and group instruction to launch a web-based Harmonica School in French and English. To learn more, visit davidherzhaft.com or read his harmonicablog.